Oversized one bedroom located at water’s edge in beautiful Battery Park City. Measuring a generous 785 square feet, this special home feature one and one half baths (master with whirlpool tub), your own washer and dryer, two walk in closet, pass through kitchen and angled Hudson River Views. 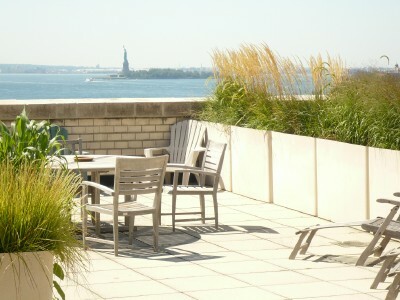 Building amenities include a bicycle room, a roof deck overlooking Statue of Liberty, a 24 hour concierge and a top notch staff. The Regatta is a very pet friendly building. It is an easy walk to work to all downtown business and is close to all public transportation, including the recently opened new downtown transportation hub. Fabulous dining and luxury shopping may be found at the brand new Brookfield Place located in the World Financial Center. Additional premier shopping is coming soon to the new World Trade Center Retail Arcade. Battery Park City has become one of New York's truly great neighborhoods. This gracious home affords the opportunity to take advantage of its bountiful benefits.